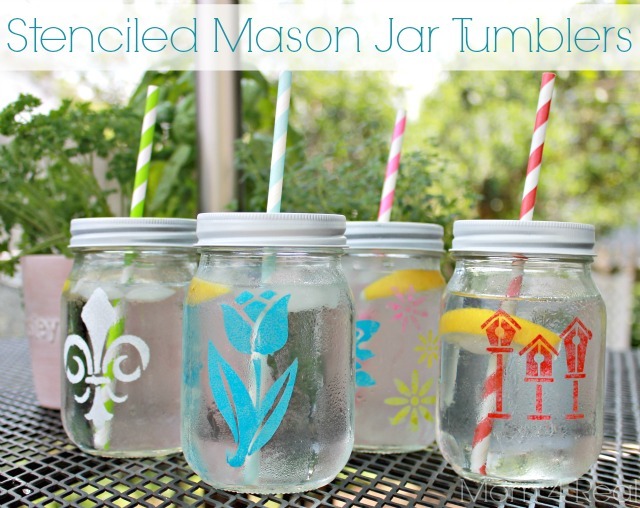 I love, love, love mason jars. They are so versatile, and inexpensive, and remind me of growing up in the country. 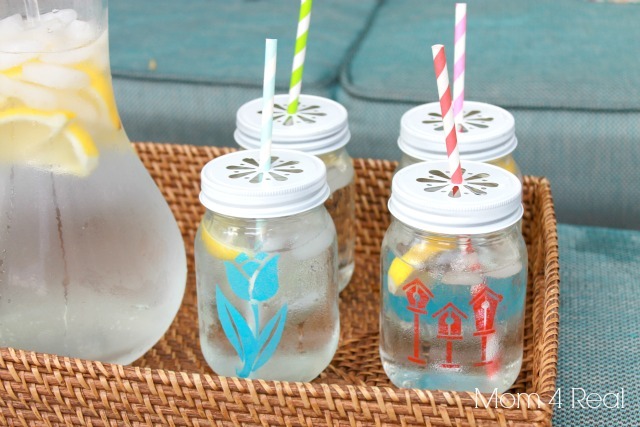 I had a ton of fun making these stenciled mason jar tumblers, and I am so happy with the way they turned out. I also love that you can make them unique, and your kiddos can even help! I opted for the generic version of mason jars that are sold at Walmart. They are less than $10 for a dozen, and the smooth surface makes it really easy to stencil! 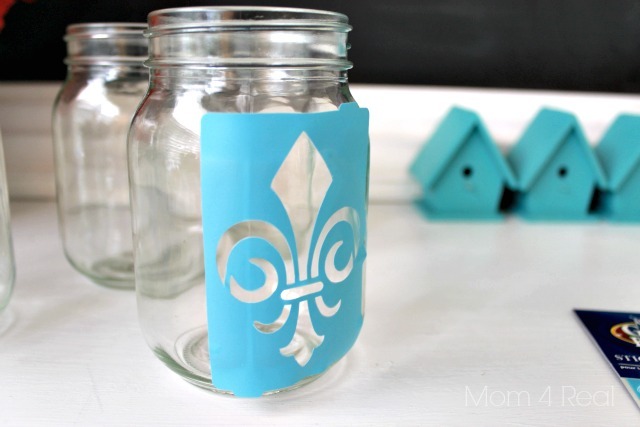 Take your favorite stencil and adhere tape it to your jar. 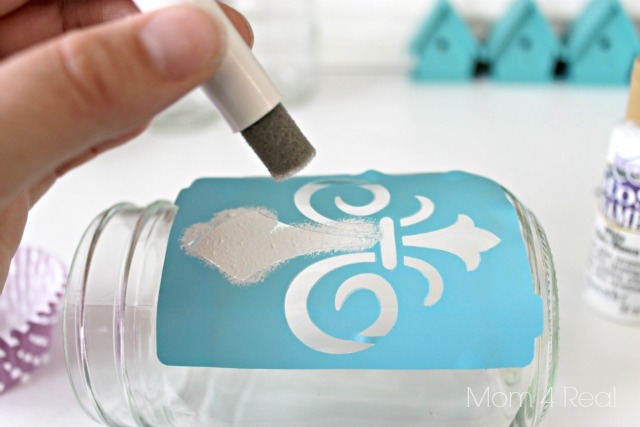 I love using these adhesive stencils from DecoArt because they curve with the glass and are reusable. Dab a thin layer of glass safe paint onto your stencil…just be gentle so you don’t move the stencil or get your paint under the stencil. Once you are finished dabbing your paint on, pull your stencil up while the paint is still wet. If you wait until it dries, you may pull the paint up. That’s it! Allow time for the paint to dry, slap a cute lid on, and you have instant cuteness! No one else will have the same ones as you! You could even give a set to your favorite hostess as a gift! My sweet Kate absolutely loves hers! So, what do you think? Will you be making your own? 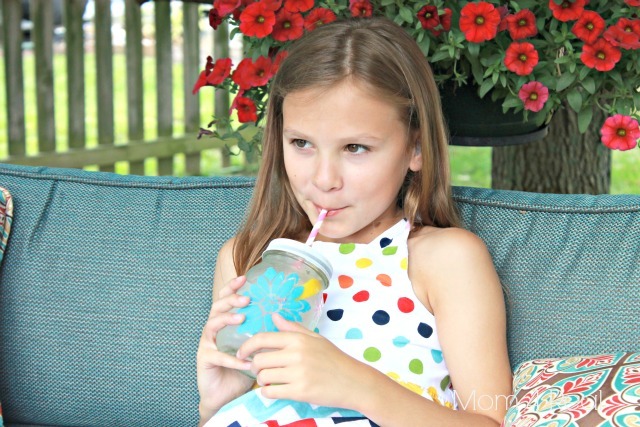 I originally shared this post at I Heart Naptime as part of a super fun Summer series! « Stenciled Lamp Shade and Some News! 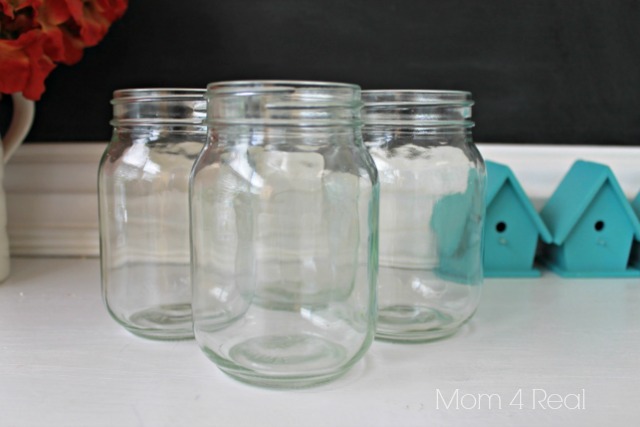 Are the stenciled jars dishwasher safe? where do you buy the covered tops that have the hole for the straw? How did you do the lids? So cute!